2017 Annual Donation Drive - We Need Your Help! The SoxProspects.com Annual Drive is still on! We still need your help to hit our fundraising goal of $10,000 to keep the site up and running for another year. We are still quite a long way from this goal—less than halfway as of this writing, in fact—so if you've thought about contributing before but haven't gotten around to it, now is a GREAT time to jump in and show your support! In order to meet our fundraising goal for this year, we are extending the Annual Drive to run through the end of the minor league season in September. 8/25 Cup of Coffee: The minor league season is coming into the home stretch, and the three Boston affiliates with playoff aspirations were all victorious on Thursday. Greenville, the only team in the organization to clinch a playoff berth stomped on their cross-Carolina rival, led by monster evenings from Bobby Dalbec (pictured) and Santiago Espinal and the pitching of Bryan Mata. Salem got its second-straight walk-off win, this time on a home run off the bat of Jeremy Rivera. The DSL Red Sox maintained their thin 1/2-game lead in the DSL wild card race with their victory. The PawSox were held to only four hits by veteran left-hander Brett Anderson and a trio of relievers. Brian Bogusevich had a solo home run and Jantzen Witte had a pair of hits in the losing effort. It was a rare tough night for Jalen Beeks, who allowed six runs on six hits in five innings, with the big blow a three-run homer allowed in the third inning. Beeks did strike out seven against only two walks. 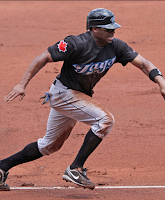 The Red Sox acquired speedy outfielder and (brief) 2016 World Series hero, Rajai Davis (pictured), in exchange for outfielder Rafael Rincones, according to multiple reports. Dave Dombrowski said the team was interested in Davis as a Dave Roberts-style pinch runner down the stretch even before Jackie Bradley Jr. sprained his thumb, but the injury accelerated the timetable. Rincones, 18, has played in 58 games over the past two seasons in the Dominican Summer League. He was hitting .258/.373/.369 with one home run and 19 RBI when he was traded. 8/24 Cup of Coffee: After three years of marking time in Pawtucket, Bryce Brentz (pictured) has made some adjustments to his swing, and he now has a 30-home run season to show for his efforts. He blasted two more as part of the PawSox win. Salem got a walk-off win to keep them a game up in their playoff race, while the DSL Red Sox kept pace as well with a doubleheader split. Greenville put up a monster day offensively, led by Brett Netzer and Stanley Espinal. 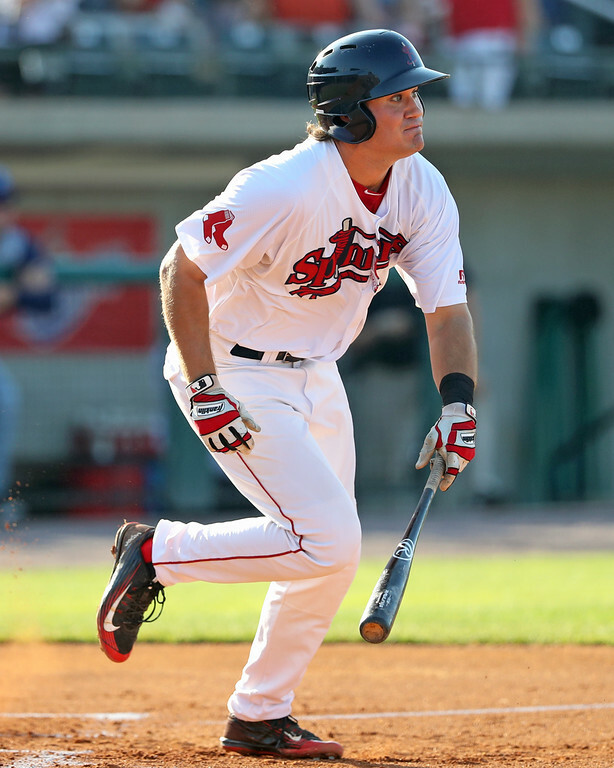 Bryce Brentz continued his impressive comeback season with a pair of home runs that led the way. A solo shot in the fifth and a three-run blast in the sixth made up four of the PawSox five runs, and gave the 2010 supplemental first-round pick an even 30 for the season. It is the second 30-homer season of Brentz's career, as he pulled off the feat way back in a 2011 season split between Greenville and Salem. Kyle Kendrick was solid in his start, allowing three runs in five innings, before the trio of Carson Smith, Marcus Walden, and Austin Maddox dominated with four scoreless innings to seal the win. 8/23 Cup of Coffee: It was a rough night down on the farm, as just two affiliates eked out wins. Mike Shawaryn (pictured) led Salem to victory, while Lowell rode an offensive outburst to the win. Greenville and Portland were on the wrong end of lopsided scores, and Pawtucket failed to overcome and early deficit. Both the GCL and DSL squads dropped their contests as well, though in doing so the DSL club dropped back ever so slightly in the playoff picture. The PawSox pushed across just two runs in the fourth, courtesy of a Matt Dominguez home run following a double off the bat of the resurgent Bryce Brentz. Brentz and Deven Marrero each tallied two hits in the game. Blake Swihart, meanwhile, was held hitless, striking out three times a part of an 0-for-4 performance. Roenis Elias was roughed up, essentially out of the gate, surrendering a solo shot to just the third batter of the game. Elias took the loss after allowing four runs on 10 hits in seven innings, though he did also punch out seven batters. Chandler Shepard came in out of the pen and was tagged for Buffalo's final two runs over two innings of work. 8/22 Cup of Coffee: Only one stateside affiliate got a victory on Monday, but Greenville's game provided enough action for an entire organization: 15 runs, a walk-off win courtesy of Roldani Baldwin (pictured), and your run-of-the-mill 22-minute solar eclipse delay. 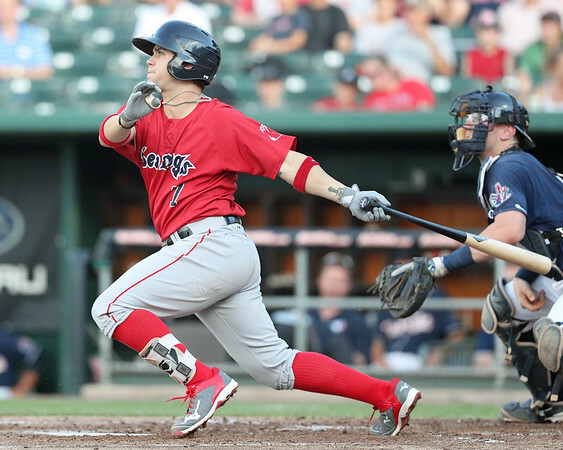 Elsewhere, the DSL Sox got another win to continue their run toward the postseason, and Michael Chavis broke out of a short slump with a four-hit performance. The PawSox entered the ninth with a lead, but the advantage cratered with an error and pair of homers leading to a four-run Bisons ninth. Brian Johnson continues to orbit around the 70-pitch mark as he ramps up after a late-July shoulder injury. The lefty struck out five in four innings of work without issuing a walk but gave up two runs on a pair of solo homers. Heiker Meneses had a three-hit night out of the leadoff spot, and Ryan Court homered for the 10th time this season. Carson Smith struck out two in a perfect inning of relief in his rehab stint. 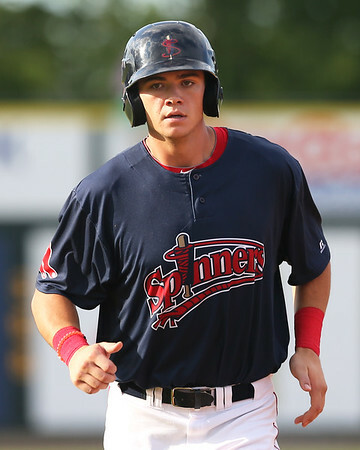 Friday's Scouting Scratch took a look at five late-round draftees currently playing in Lowell: infielders Garrett Benge (selected in the 13th round) and Frankie Rios (17th round) and right-handed pitchers Lukas Young (21st round), Taylor Ahearn (32nd round), and Durin O'Linger (undrafted). Red Sox assistant general manager Eddie Romero discussed some of Boston's international free agent signings. 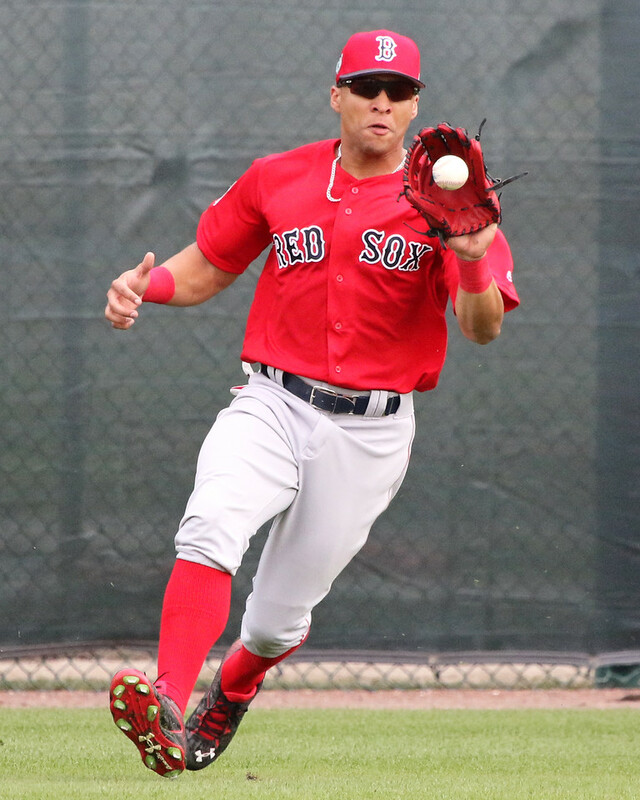 Romero reported that the Red Sox have moved Danny Diaz, who is listed 21st in the SoxProspects.com rankings, from shortstop to third base. Matt Collins of Over the Monster previewed some names that the Red Sox could promote when rosters expand in September. Infielders Deven Marrero, Tzu-Wei Lin, and Sam Travis are almost certain to be added to the major league roster along with lefty Brian Johnson and Hector Velazquez. 8/21 Cup of Coffee: Greenville, led by dynamic games from Hildemaro Requena and Tyler Hill (pictured), knocked three home runs in a blowout win. Lowell was the only other affiliate to win as Tanner Houck threw three shutout innings and Nick Sciortino homered twice. 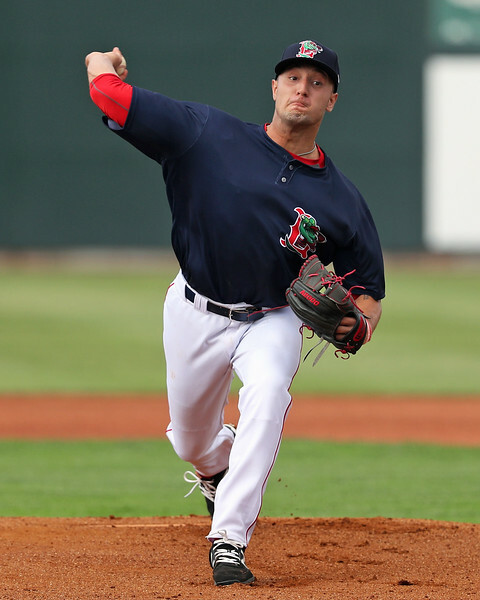 The PawSox lost despite a strong game by Justin Haley. Portland played a doubleheader against Binghamton, who walked off in both games. Salem lost a slugfest with Victor Acosta leading the way with three RBI. Justin Haley turned in another strong start for the PawSox, allowing two runs and striking out five in six innings, but his offense and bullpen let him down in a loss. Kyle Martin allowed four runs in an inning of relief and Williams Jerez threw a scoreless frame, striking out two. 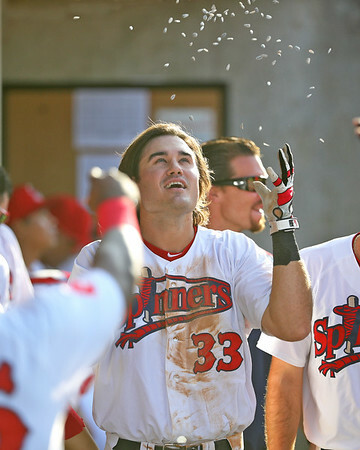 Pawtucket's only run came via a fourth inning home run by Brian Bogusevic, who was 1 for 3. 8/20 Cup of Coffee: It was a tough day down on the farm, with only two affiliates coming away with victories. 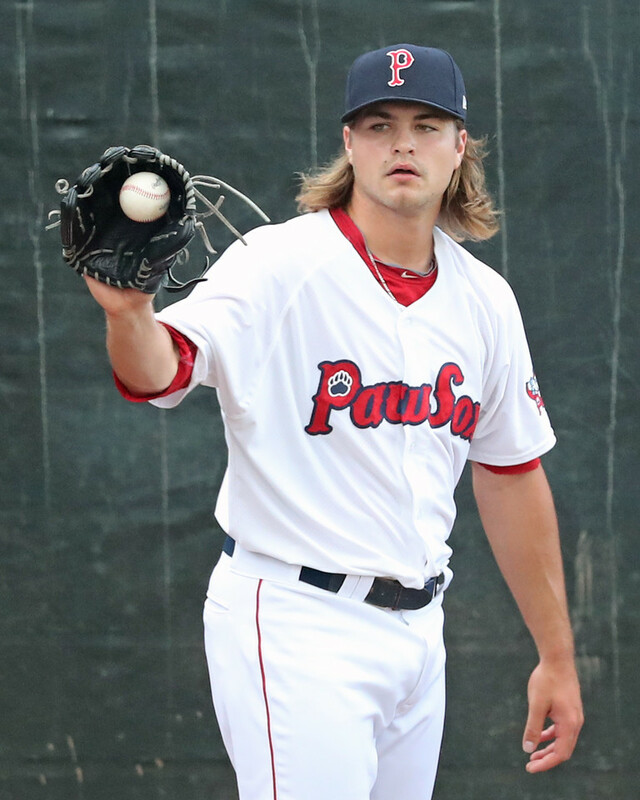 Jalen Beeks (pictured) was excellent again to lead the PawSox, while the DSL Red Sox continued their playoff push with another walk-off win. The offenses struggled elsewhere, as Greenville, Lowell, and the GCL Sox combined for only 10 hits in three losses. 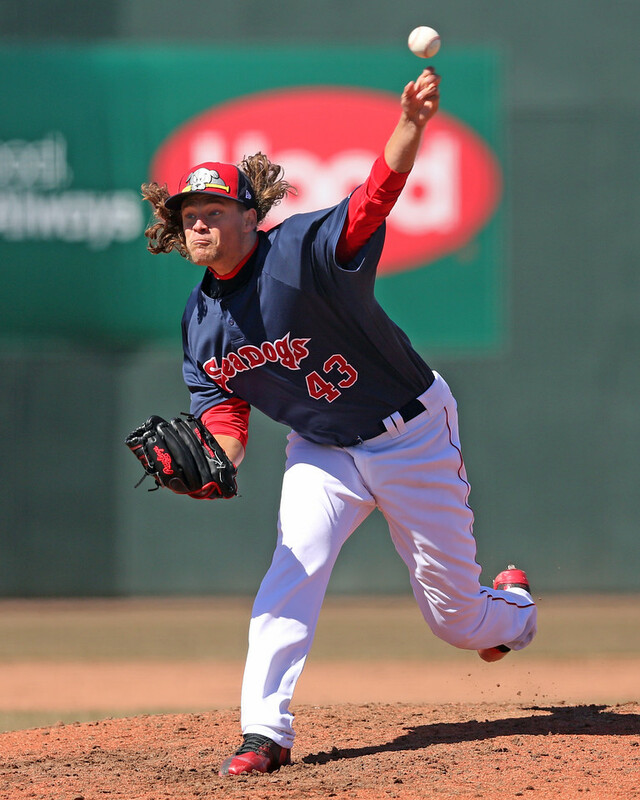 Left-hander Jalen Beeks turned in another quality start to lead the PawSox. Beeks struck out five and walked only one while surrendering a pair of runs while matching a season high with seven innings. In the 14 games he's taken the mound since his promotion from Portland, Beeks has turned in quality starts in nine of them. Tzu-Wei Lin blasted his first home run in 25 games since joining Pawtucket, a decisive two-run blast in the top of the seventh. 8/19 Cup of Coffee: Blake Swihart broke out and ripped a three-run homer, his fourth of the year with Pawtucket. Kyle Hart (pictured) pitched really well in a loss and Greenville dropped one despite smashing four long balls. 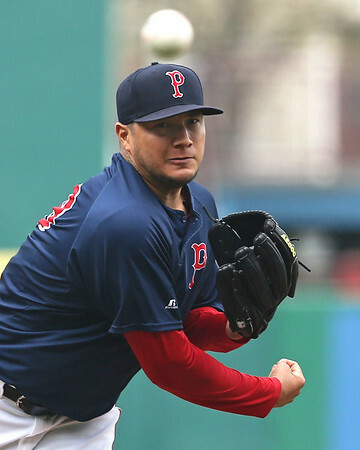 Hector Velazquez was solid, but the eighth inning got away from Marcus Walden. Velazquez gave up three runs in six innings with five strikeouts and one walk. Walden gave up seven runs on four hits and three walks, as he only got two outs. Carson Smith pitched a clean inning, walking just one. Mike Miller even got into this one and allowed a run. Blake Swihart belted a three-run homer and Deven Marrero went 2 for 4 with a solo shot. Sam Travis was 2 for 4 as well. 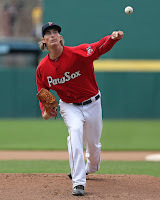 The offense sputtered in game one and Henry Owens gave up four runs in 5 1/3 innings. He walked three and struck out just two. Josh Smith got the final two outs. Jordan Procyshen drove in the lone run with an RBI double. Josh Tobias added a double and Michael Chavis went 1 for 3. LOWELL, Mass -- With Brett Netzer’s promotion earlier this month, the Lowell lineup is on the thin side. 2017 13th-round pick Garrett Benge out of Oklahoma State is one of the most intriguing of those who remain. Benge has minimal projection in his 6-foot, 205-pound frame and is already a below-average runner with a questionable defensive profile. What Benge does bring to the table is a nice left-handed swing and solid-average bat speed. Benge starts in an open stance and utilizes a leg lift timing device. He has a small hitch in his load, but has quick hands once he gets going forward. In recent looks, Benge has shown an all-fields approach and some feel for hit. His pitch recognition needs some work and he only has gap power at present, but he has some upside at the plate. There are more questions, however, about Benge’s defense, as pre-draft reports (including one from Jim Callis on the SoxProspects.com Podcast) predicted. His arm is fringy for third base and his footwork and glove are below-average. He already has nine errors in 32 games and could have had several more on throws in the dirt that were successfully scooped by his first baseman. With his frame and offensive profile, a move to second base could be beneficial, but he doesn’t have the athleticism you like to see up the middle. If Benge hits enough then the Red Sox can figure out a defensive home at a later date, but the below-average defensive profile puts a lot of pressure on his bat to produce. 8/18 Cup of Coffee: With two former first-round picks on the hill on Thursday, it was Trey Ball who had by far the best performance. 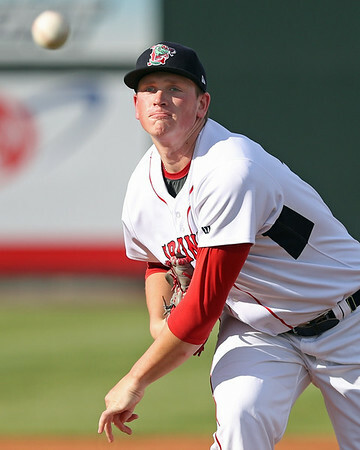 Jay Groome's hot streak came to an end, but there were still some positives in his outing, and Logan Boyd had another quality start for Salem, but he could not get any run support. Michael Chavis added another extra-base hit, and teammate Bobby Poyner saw his absurd scoreless innings streak continue. After each team put up three runs in the first this had the makings of a slugfest, but both teams cooled off as this game went deep into extra innings. Roenis Elias got the start and allowed five of the first six batters to reach base, but he settled in and ultimately threw 5 2/3 innings while allowing four runs. Chandler Shepherd followed with 3 1/3 innings of near-perfect relief, as he did not allow a baserunner and struck out three. Williams Jerez also struck out three over his two innings, and Shawn Haviland took the loss after allowing a walk-off single. 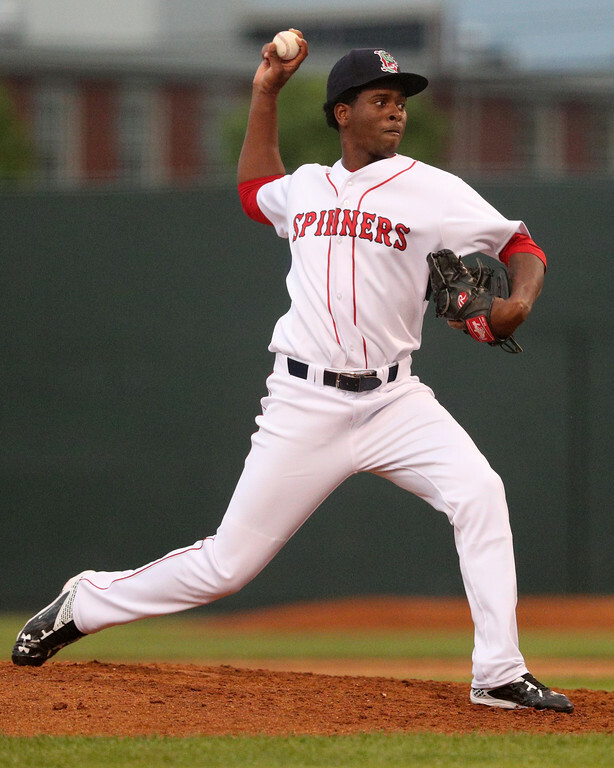 After covering a few of the bigger names on the Lowell roster earlier in the week, SoxProspects.com's Director of Scouting Ian Cundall wrote up a few of the under-the-radar arms on the Spinners roster. Nick Duron, Denyi Reyes and Yorvin Pantoja were featured in the latest Scouting Scratch, with Duron's report being the most intriguing. Cundall and Executive Editor Chris Hatfield teamed up for the 128th episode of the SoxProspects.com Podcast, and they covered all of the recent promotions in the system. They also talked about their live looks at Pawtucket, Portland, and Lowell, and discussed Blake Swihart's return to the field. 8/17 Cup of Coffee: Home runs from Rusney Castillo (pictured) and Bryce Brentz coupled with strong outings from Dedgar Jimenez, Mike Shawaryn, and Darwinzon Hernandez resulted in a good night down on the farm. It was not all good news however, as Brian Johnson left the game after being struck in the leg by a batted ball, and Bobby Dalbec's struggles continued in Greenville. A 17-hit attack that included three home runs paced the PawSox. 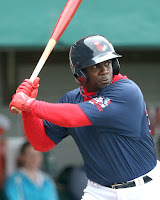 Rusney Castillo was the star of the day, going 4 for 5 with two doubles and his 15th home run of the season. Bryce Brentz launched a two-run home run, his 28th of the year, as part of his 2-for-5 night. Brentz is now one home run away from the International League lead. Matt Dominguez also joined the party, going 3 for 5 with a solo home run. LOWELL, Mass. -- Based on his statistics this season, Spinners’ right-hander Nick Duron may not seem like someone to watch, but that is far from the case. In 36 2/3 innings, the 21-year-old has 4.42 ERA and 1.25 WHIP with only 25 strikeouts compared to 13 walks. Duron’s development has been slow since he was drafted in the 31st round of the 2015 draft out of Clark College, a junior college in Vancouver, Washington. He had committed to and signed for only $75,000. 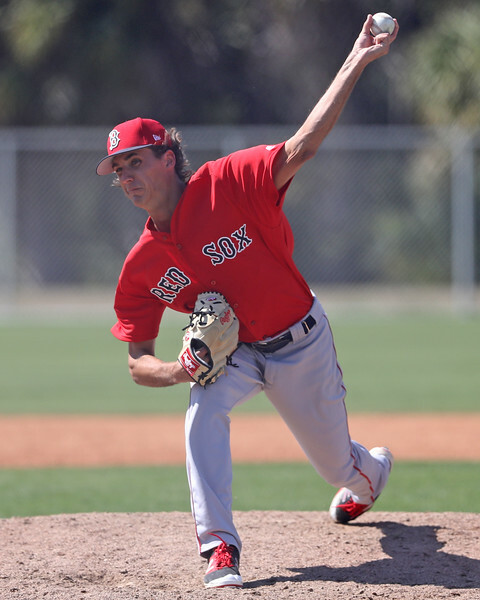 He threw 26 1/3 innings with the Gulf Coast League Red Sox after signing, striking out 28 batters while allowing just 5 runs on 20 hits and 5 walks, but then missed all of 2016 with an injury. The first thing that stands out with Duron is his athleticism and frame. Duron’s only other scholarship offer out of high school was to play football at Western Oregon University, and he looks the part. He is listed at 6-foot-4, 190 pounds and is very muscular, but he hasn’t lost any of his football athleticism and has a very live arm. Duron throws from a three-quarters arm slot and starts with a wide base. His delivery is controlled with some effort including a stab behind and short, quick arm action forward. Duron’s arm is very quick, so much so that it often gets out of sync with the rest of his delivery. He has a tendency to miss to his glove side when his arm gets out ahead of his body, and he struggles to locate on the inner half of the plate to right-handed hitters. Given he only committed full time to baseball in 2015 this isn’t a surprise, but as a result his command and control suffer. 8/16 Cup of Coffee: With few wins to be found in the system, Hildemaro Requena stood out with an impressive start for Greenville. 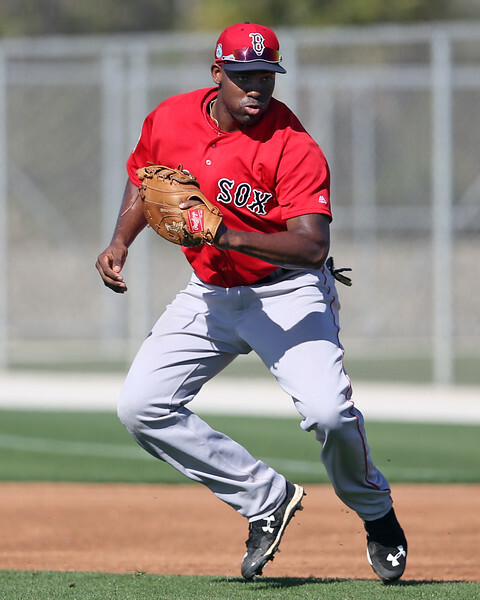 Rusney Castillo (pictured) provided the little offense Pawtucket could muster. Danny Mars led a 10-hit Portland attack, but the Sea Dogs still fell. Three Lowell players participated in the New York-Penn League All-Star Game. The PawSox fell in the first tilt of Tuesday's doubleheader despite outhitting Louisville 10-9 in the game. Part of the problem was that only two of those ten hits were for extra bases. 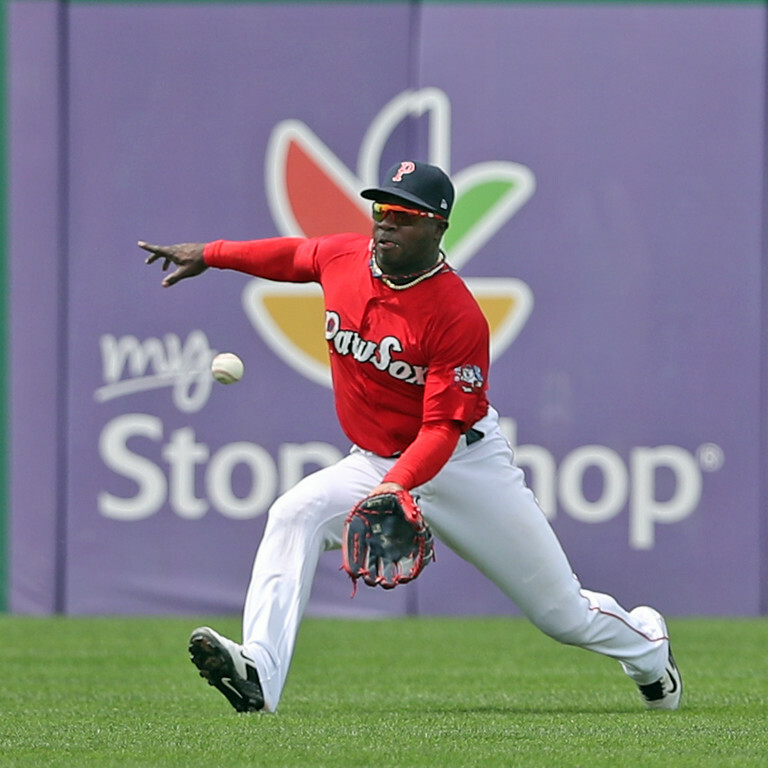 Rusney Castillo went 2 for 4 and drove in Pawtucket's lone run. Sam Travis also added a pair of hits, going 2 for 3. Justin Haley took the tough-luck loss, going the full six innings in the shortened game. He scattered nine hits, giving up three runs while walking two and striking out four. Promotions marked the start of August, and having seen Pawtucket, Portland, and Lowell recently between them, Chris and Ian had plenty to talk about. Included in the first-hand talk are the surging (and relevant again?) Bryce Brentz, the new-look Henry Owens, the red-hot Michael Chavis, and 2017 draftees Brett Netzer and Jake Thompson, among others. 8/15 Cup of Coffee: With Pawtucket, Portland, Greenville, and Lowell having the day off and the DSL Red Sox game being rained out, it was a light schedule on Monday night. 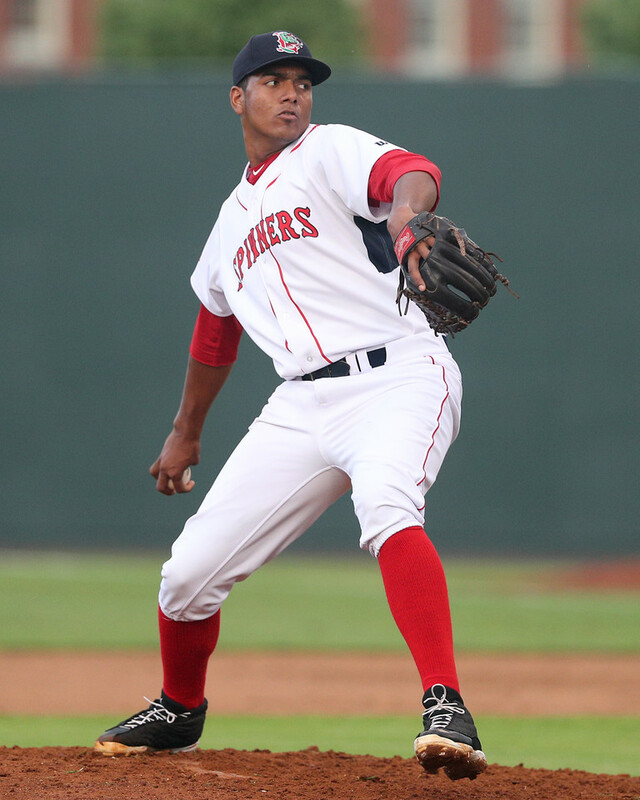 In the two games that did take place, Roniel Raudes (pictured) outdueled Stephen Strasburg, and the GCL Red Sox rallied in the top of the ninth to come away victorious. With Salem facing one of the best pitchers in baseball, it was Roniel Raudes who stole the show by turning in one of the best performances of his career. Raudes went seven innings, which tied a career-high, and allowed only one run on five hits. He walked one and struck out six as he lowered his ERA to 4.38. Pat Goetze could not hold the lead, allowing two runs in the eighth as he blew his first save with Salem. SoxProspects.com's Director of Scouting Ian Cundall recently got a chance to see a pair of 2017 draft picks in action. Cundall writes about what he saw from fourth-round selection Jake Thompson, including a detailed observation on the right-handed pitcher's impressive sequence to 2017 fourth overall pick Brendan McKay. Cundall also writes about third-round selection Brett Netzer, a second baseman who was recently called up to Greenville after hitting .317 in Lowell. 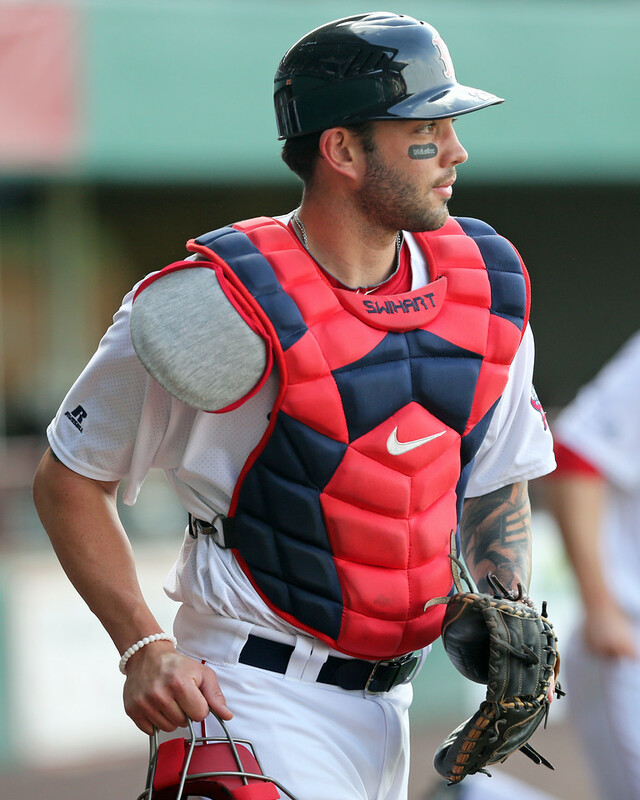 Last night, Blake Swihart made his return to Triple-A Pawtucket after nine games with the GCL Red Sox. He was the DH for the PawSox last night and went 0 for 4. 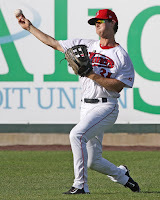 Brendan McGair of the Pawtucket Times writes about some potential PawSox September callus. LOWELL, Mass. -- One of the last members of the 2017 draft class to sign, right-hander Jake Thompson made his professional debut on August 3 against Hudson Valley, a team boasting one of the more prospect-laden lineups in the New York-Penn League. Thompson only threw one inning, featuring all four of his pitches over the 21-pitch outing. He allowed three hits—all on weak contact—and two runs while striking out two. Thompson is listed at 6-foot-2, 200 pounds and has a filled-out frame with a thick lower half. He will be 23 in September, making him old for a 2017 draftee, and doesn’t have much physical projection remaining. Thompson threw exclusively from the stretch, starting on the first base side of the rubber, and has few moving parts to his delivery. He threw from a three-quarters arm slot with some effort and short arm action, and utilized a medium leg kick. He has some deception, hiding the ball behind his body until late. He showed plus arm speed and did a good job keeping his line to the plate. Thompson’s fastball sat 94-96 mph. The pitch was on the straight side with average life. He got one swinging strike with the pitch on his final pitch of the evening, at 94 mph, up-and-in against a right-handed hitter. 8/14 Cup of Coffee: Sunday featured several strong pitching performances throughout the Red Sox affiliates. 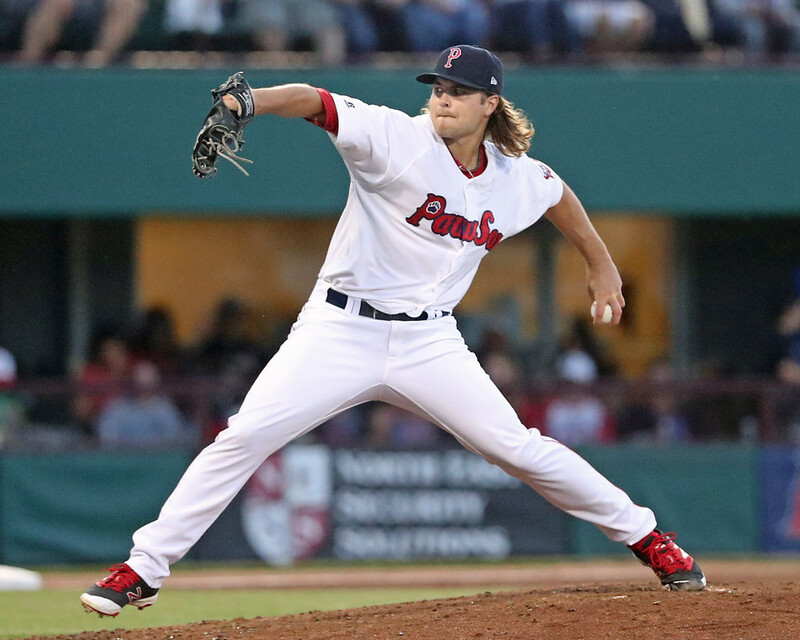 Six innings of one-run ball by Jalen Beeks weren't enough in a loss for the PawSox. However, both Salem and Greenville were victorious courtesy of strong starts by Kyle Hart and Jhonathan Diaz. The Sea Dogs lost a slugfest despite fantastic games for Cole Sturgeon (pictured) and Chad De La Guerra. The Spinners recorded 17 hits and 12 runs to back Jake Thompson's scoreless start. Southpaw Jalen Beeks continued his excellent season with six strong innings, allowing a run on two hits and two walks while fanning six. However, the bullpen blew Beeks' chance at a win as Chandler Shepherd and Noe Ramirez each allowed two runs. The PawSox scored both runs in the second inning on a leadoff homer by Steve Selsky and an RBI single by Jake Romanski. Romanski was 2 for 3 with a walk. 8/13 Cup of Coffee: The new arm slot appears to be benefiting Henry Owens (pictured) as the big lefty looked sharp in a win for Portland. Jay Groome racked up the strikeouts but ended up with the loss as the Greenville bats went silent. 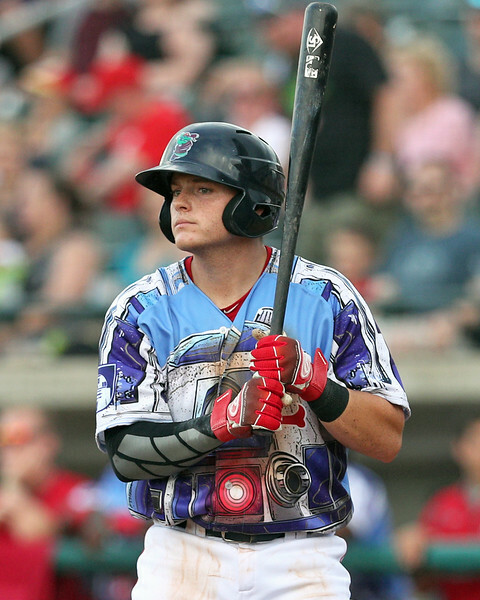 Pawtucket got back-to-back home runs from unlikely sources. Jhon Nunez and Victor Acosta keyed a Salem come back. A late rally came up short for the PawSox, despite three home runs from the offense. Dan Butler and Deven Marrero went back-to-back in the fifth inning. 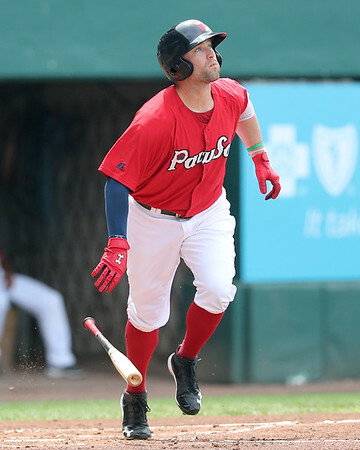 The recently red-hot Brian Bogusevic added his ninth long ball of the season to bring Pawtucket within one, but the rally ended there. Hector Velazquez gave up five runs (four earned) in four innings of work. 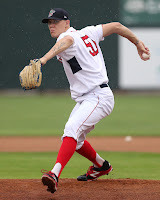 Shawn Haviland kept the Sox within striking distance with four shutout innings of relief, giving up one hit and three walks while striking out four. 8/12 Cup of Coffee: Darwinzon Hernandez (pictured) and Roenis Elias delivered strong starts for Greenville and Pawtucket. Tzu-Wei Lin had a big game and Bryce Brentz and Jeremy Barfield stayed hot with another home run apiece. 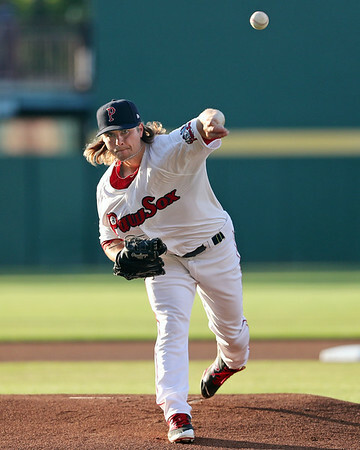 The PawSox used a six-run third to propel them to victory. Tzu-Wei Lin led the way out of the leadoff spot by going 3 for 5 with a pair of doubles. Deven Marrero also had two hits and two RBI. Bryce Brentz hit his 27th home run of the year, while Rusney Castillo and Matt Dominguez also belted home runs. Roenis Elias pitched 6 2/3 strong innings, allowing just one run on five hits with two walks and five strikeouts. Kyle Martin and Austin Maddox finished it off, as each picked up three strikeouts. The Sea Dogs had their game called after just five innings of play. Jeremy Barfield stayed hot with another home run, his 21st. Josh Tobias went 2 for 2 and Cole Sturgeon added a double. Trey Ball struggled and took the loss, allowing four runs on nine hits with three walks and three strikeouts. Jacob Dahlstrand faced one batter and induced a double play ball. 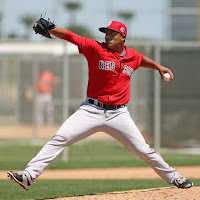 In Thursday's Scouting Scratch, Director of Scouting Ian Cundall viewed three pitching prospects who have recently been promoted from Lowell to Greenville: right-handers Joan Martinez (ranked as the 44th-best prospect in the system), Juan Florentino, and Jared Oliver. Rookie sensation Rafael Devers joined Harold Reynolds of MLB Network on Thursday and talked about his hitting approach and his career thus far. Today’s Scouting Scratch focuses on a trio of relief pitchers promoted from Lowell to Greenville in the first week of August. 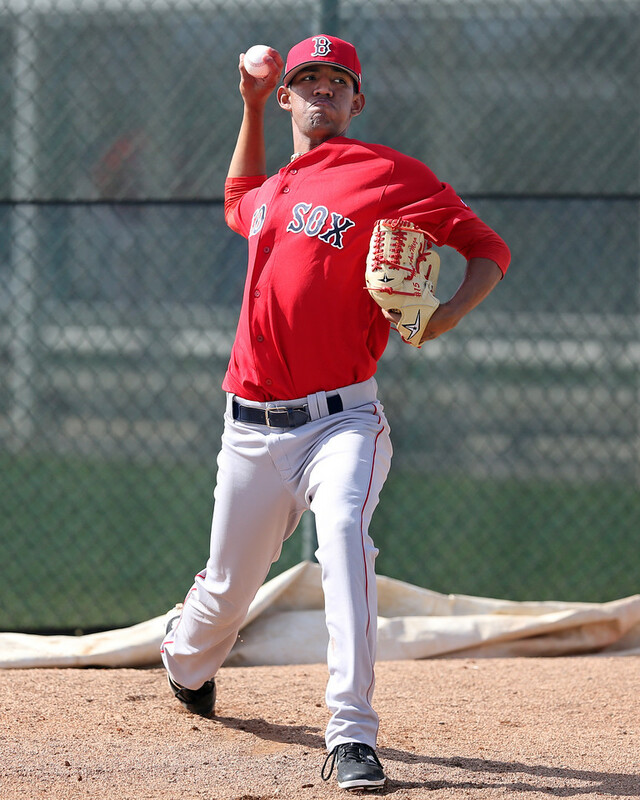 The highest-ranked prospect in the SoxProspects rankings of the trio of pitchers we’ll cover today is Dominican right-hander Joan Martinez, currently the 44th-ranked player on the list. In 17 1/3 innings with Lowell, Martinez had a 1.56 ERA and 0.92 WHIP and struck out 13 while walking four. Martinez carried that strong performance into his first week in the South Atlantic League, striking out seven while allowing just one batter to reach in five innings, that on a walk. The 20-year old Martinez looks his listed 6-foot-3, 195 pounds, but still has some projection on his frame. Martinez throws from a three-quarters arm slot and has a very quick arm. His control is impressive considering that his delivery leaves a lot to be desired. It is a high-effort, hard-to-repeat delivery with a lot of moving parts, and he doesn’t utilize his lower half. Martinez starts in the stretch with his hands set at his waist. He utilizes a medium leg kick and has a long arm swing behind before landing on a stiff front leg and falling off to the first base side. 8/11 Cup of Coffee: It was a relatively uneventful day on the farm until the 14th inning of Greemville's marathon contest. That's when first baseman Tucker Tubbs (pictured) took the mound for the fourth time this season. Tubbs fired three scoreless innings and earned the win when third baseman Bobby Dalbec blasted a walk-off home run. Elsewhere, Dedgar Jimenez and a pair of relievers combined on a shutout for Portland, Brian Johnson continues to work his way back for Pawtucket, and the DSL Sox had three last-at-bat comebacks in their own 13-inning walk-off win. Bryce Brentz powered the PawSox to a lead it would not relinquish with a two-run homer in the bottom of the first inning. Starter Brian Johnson allowed only one run in his four innings of work, but he struggled some with his control, issuing four walks. He struck out six batters and threw 76 pitches. 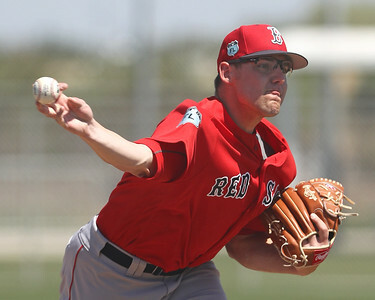 Marcus Walden also struck out six while throwing three innings of scoreless relief. Rusney Castillo added a double and a walk. 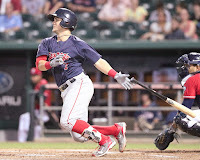 8/10 Cup of Coffee: Michael Chavis launched his 29th home run of the season, and Justin Haley set a career-high with 10 strikeouts for the PawSox. Sam Travis and Bobby Poyner continued their good runs, while Blake Swihart continues to struggle on his rehab assignment. A late rally from the Knights fell short as the PawSox squeaked by with a victory. The offense was led by Brian Bogusevic, who went 2 for 4 with a two-run home run. Sam Travis also went 2 for 4 but was caught stealing for the second time this season. Travis is now hitting .321 over his last 15 games, though he only has one extra-base hit over that span. Deven Marrero continued to struggle, going 0 for 3 with a strikeout, and he's now hitting .167 since being sent down to Pawtucket. 8/9 Cup of Coffee: It was a perfect night for the Red Sox affiliates with wins from the majors down through the GCL. Much of the success came from solid pitching performances, as Jalen Beeks bounced back for Pawtucket and Kevin McAvoy (pictured) hurled a gem for Portland. Meanwhile, Joran Betts and Jerry Downs came up with clutch hits for Salem and Greenville, respectively. The PawSox slugged their way to the win with 13 hits, including six extra-base knocks. Bryce Brentz drove in his 70th and 71st runs of the season in a 2-for-4 performance with a pair of runs scored. Matt Dominguez went 2 for 5 with three RBI. Brian Bogusevic set the table out of the two-hole, going 3 for 5 with two doubles, two runs scored and an RBI. Jalen Beeks got back into the win column with a quality start. He gave up just one run on three hits in six innings of work while striking out six and walking just one. A rehabbing Carson Smith did not allow a hit in his one inning of work, walking one and striking out one. Michael Chavis clocked his 11th Double-A home run and his 28th overall of the season, going 1 for 4 in the shutout win. Kevin McAvoy hurled an absolute gem, allowing just two hits in eight shutout innings of work. He struck out seven, walked two and picked off a runner at first. Danny Mars added two RBI in a 1-for-4 performance. 8/8 Cup of Coffee: It was a day of dominant pitching down on the farm, as four starters had outings of at least five innings without allowing an earned run. Usual suspects Hector Velazquez (pictured) and Jay Groome were masterful for Pawtucket and Greenville, respectively, while Eduard Bazardo and Rafael Gomez turned in gems in the GCL and DSL. 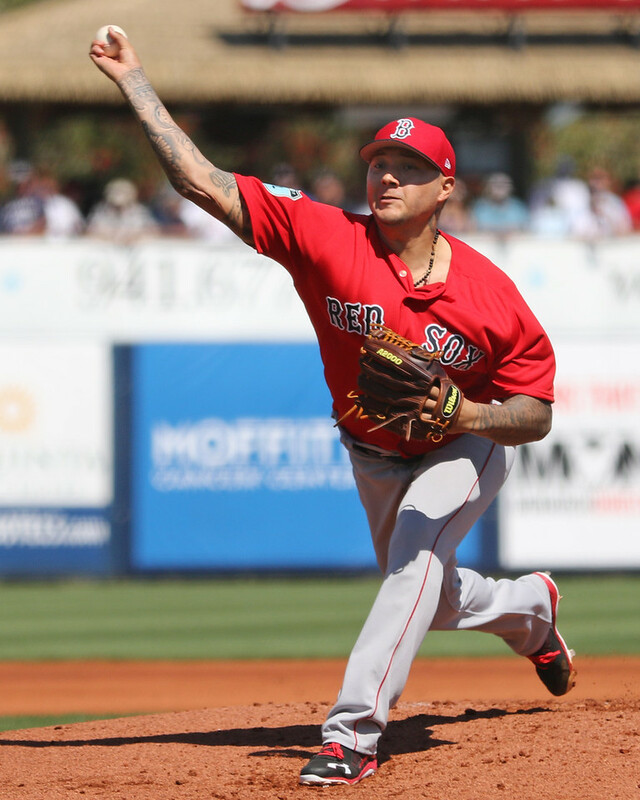 In his last start, Hector Velazquez saw his ERA rise above 2.00 for the first time since mid-April. He rectified that situation on Monday night, firing five scoreless innings to lower his mark back to 1.93. Velazquez surrendered only two hits while striking out a season-high nine batters. Edgar Olmos followed and didn't miss a beat, giving up just one hit in his four shutout innings of relief. Bryce Brentz went deep for the 25th time this season with a three-run shot off of veteran Chris Volstad. 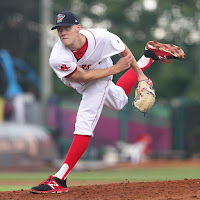 8/7 Cup of Coffee: Some impressive pitching performances in the lower minors highlighted the day in the Red Sox farm system. Logan Boyd threw six shutout innings in a win for Salem while Darwinzon Hernandez's five strong innings weren't enough for Greenville. Tanner Houck and Denyi Reyes (pictured) teamed up for a brilliant pitching performance for Lowell. Unfortunately, the results weren't as great in Portland and Pawtucket as lefties Henry Owens and Roenis Elias had some trouble. In his third start since returning to Pawtucket, Roenis Elias limped through 5 1/3 innings, allowing six runs on eight hits. Austin Maddox struggled with command, allowing a run and walking three in 1 1/3 innings. Robby Scott and Noe Ramirez combined for 1 1/3 innings of shutout relief. Third baseman Matt Dominguez had a great game, going 2 for 4 with a double and a home run. Tzu-Wei Lin was 2 for 5 with a double. 8/6 Cup of Coffee: It was a tough day down on the farm, as the Spinners were the only affiliate to come away with a win. Brian Johnson was solid in his start, Danny Mars (pictured) was the bright spot offensively with four hits, and Carson Smith started his rehab assignment. Despite taking the lead early, Pawtucket surrendered runs in three straight innings to hand the RailRiders the win. Brian Johnson threw five strong innings, allowing just one run on four hits and a walk while striking out one. Chandler Shepherd did not fare as well out of the bullpen, notching his fourth loss of the season as he surrendered two runs in 1 2/3 innings. 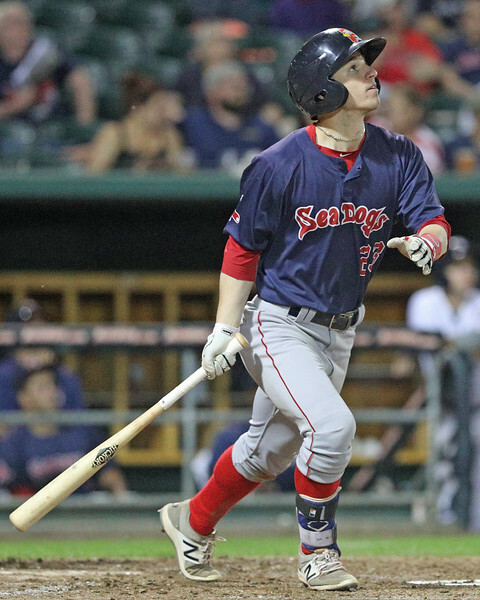 There was little to celebrate on offense, as the PawSox managed only four hits, all of them singles, off the bats of Sam Travis, Tzu-Wei Lin, Bryce Brentz, and Heiker Meneses. 8/5 Cup of Coffee: Justin Haley returned to the PawSox and spun a gem despite a loss to Scranton-Wilkes/Barre. Josh Ockimey (pictured) hit his first home run with Portland, and Greenville's bullpen was perfect to nail down a win. 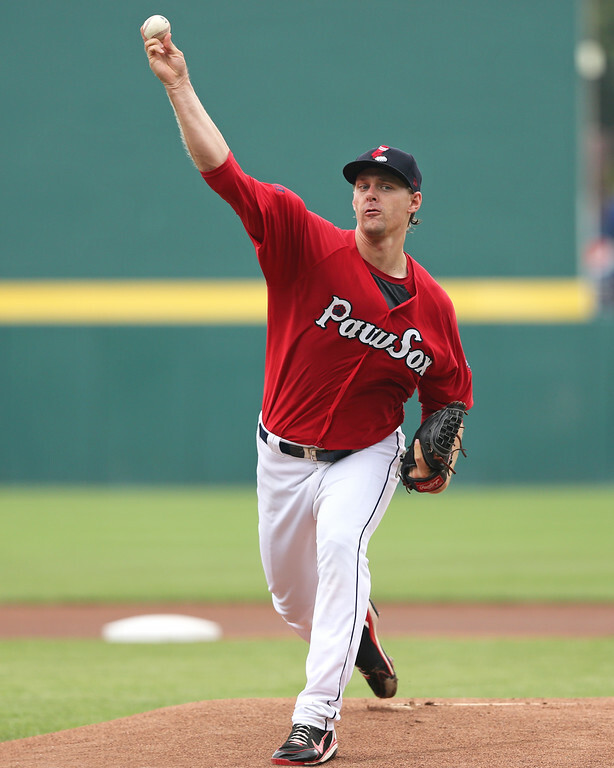 Justin Haley made his return to the PawSox after being returned from the Twins and he did not disappoint. The righty tossed seven innings and allowed just one run while striking out three and walking none. However, Williams Jerez allowed two runs in the eighth to take the loss. Sam Travis went 3 for 4 with three singles and Rusney Castillo blasted his 13th home run of the year as part of a 2-for-4 showing. Josh Ockimey had a big night, belting his first home run with the Sea Dogs. He also added his second double. Jordan Procyshen also homered, and Joseph Monge had two hits and two RBI. Dedgar Jimenez started and did not pitch that well, allowing four runs on ten hits in six innings. Jake Cosart got the win with three strikeouts in two innings and Bobby Poyner picked up his sixth save with a scoreless ninth. LOWELL, Mass. – In June, the Red Sox selected right-handed pitcher Tanner Houck out of the University of Missouri in the first round of the draft. Houck made his final collegiate start on May 23, but although he signed on June 21, his first professional start didn’t come until July 17 (a typical wait for a top pick, likely spent building strength on the organization’s shoulder program). 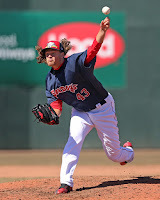 Houck has now made four starts for the Short-Season A Lowell Spinners, going 7.1 innings and allowing three earned runs on four hits and three walks, striking out nine and posting a 3.68 ERA and 0.95 WHIP. I saw Houck’s first three starts—his fourth start, of course, which was on the road, happened to be his best start. In this start, he went 3 innings, struck out four and allowed just one baserunner, that on a dropped third strike. Although Houck hasn’t yet had to turn a lineup over or worked deep into a game, these initial looks have provided a solid basis of what to look for with Houck going forward. 8/4 Cup of Coffee: Thursday was a busy day down on the farm, with Portland's afternoon game providing most of the fireworks. 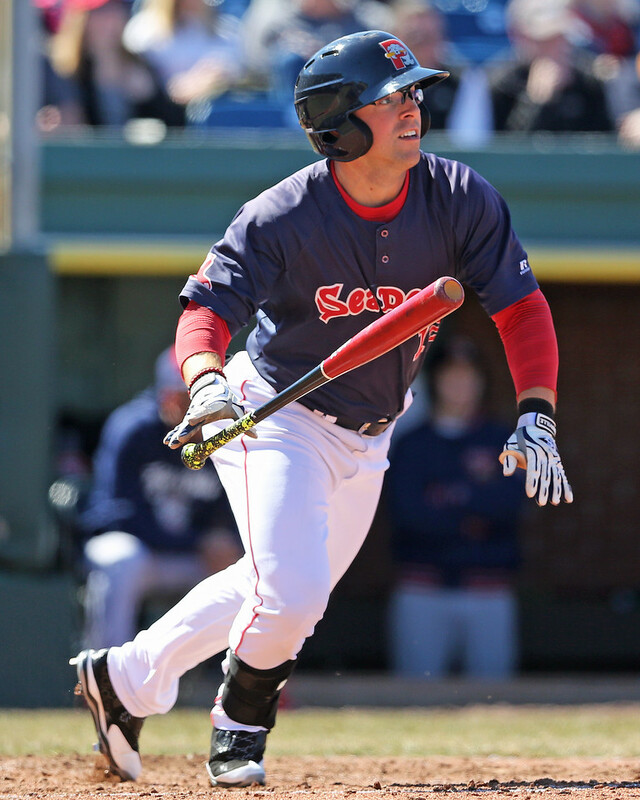 Power duo Michael Chavis (pictured) and Jeremy Barfield both went deep again in the Sea Dogs 11-run attack. Daniel Gonzalez dominated for Greenville, while fourth-round pick Jake Thompson made his pro debut during Lowell's doubleheader. And it wouldn't be a day on the 2017 schedule without at least one rain out: Salem drew the short straw this time. A late comeback effort fell short after the Chiefs broke out to a 6-0 lead against Shawn Haviland. 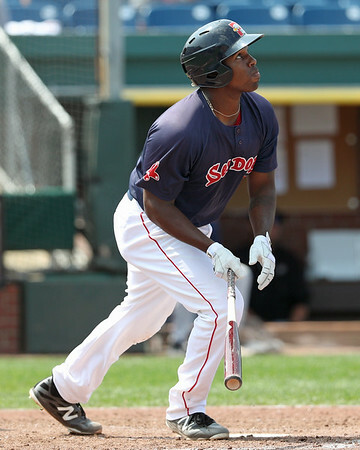 Rusney Castillo continues to swing a hot bat for the PawSox. He extended his hitting streak to 13 games by going 2 for 4 with a single and a double. Sam Travis drove in two runs on the day, and Brian Bogusevic delivered a solo home run. Robby Scott returned to Triple-A, pitching a scoreless ninth and walking a pair against one strikeout. Dont forget, SoxProspects.com still needs your help in achieving its annual fundraising goal. Please help to keep the site free by donating! 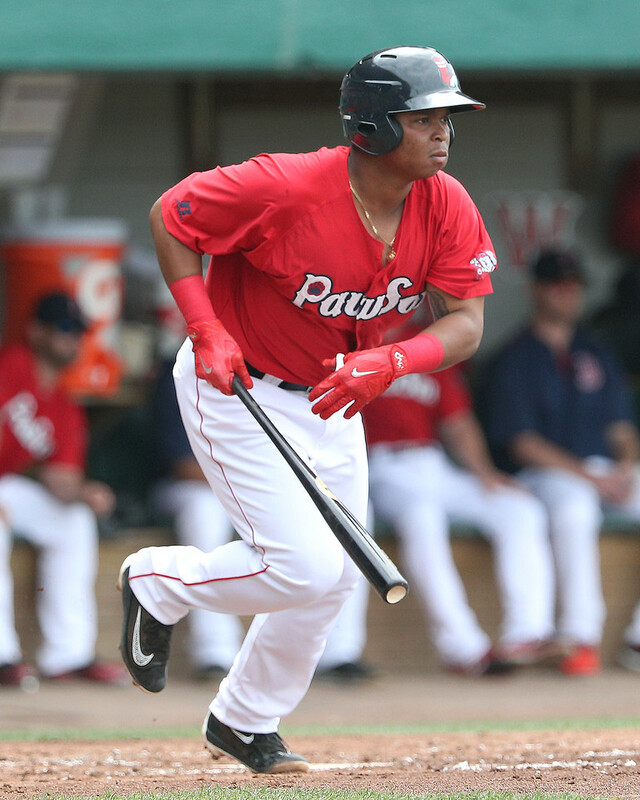 In the latest edition of the SoxProspects.com podcast, Executive Editor Chris Hatfield and Director of Scouting Ian Cundall broke down the trade deadline action, Rafael Devers' promotion to Boston and more. Ian also got a firsthand look at Boston's 2017 first-round draft pick Tanner Houck. 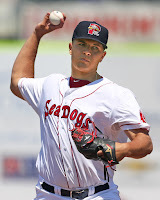 Check out the video he took in his first two professional starts in Lowell. 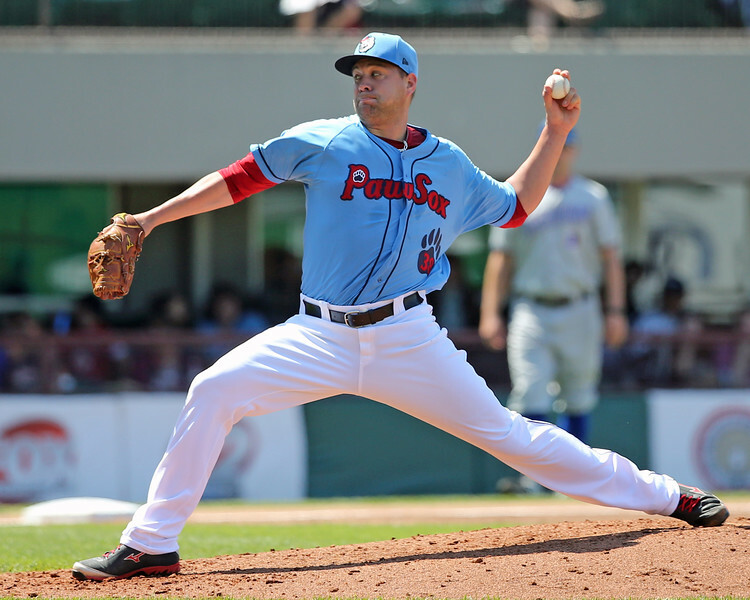 Bill Koch of the Providence Journal spoke with Pawtucket manager Kevin Boles about the departure of Jamie Callahan as part of the package of players for reliever Addison Reed. 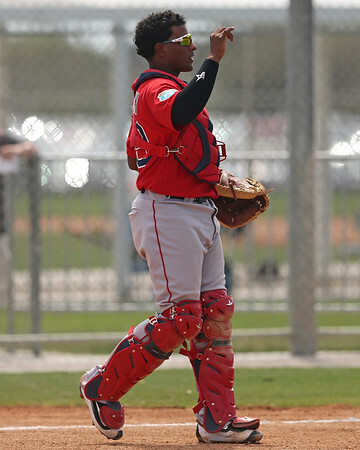 Scott Lauber of ESPN penned a column on Devers' path to the majors and his early success with the big league club. Old friend Kevin Youkilis was in Portland on Tuesday to throw out the first pitch at the Sea Dogs game. He spoke with Kevin Thomas of the Portland Press Herald about life after baseball and reflecting on his time with the Sea Dogs and the 10th anniversary of the 2007 World Series. 8/3 Cup of Coffee: On a day that saw several strong pitching performances, the night by Jay Groome (pictured) was the most notable. The young lefty have up only one hit in six innings of shutout ball to lead the Drive to a 1-0 win. The GCL and DSL squads followed with wins, getting excellent mound work of their own, while the PawSox and Sea Dogs both fell in frustratingly similar 11-inning losses. The first of two affiliates to take an 11-inning loss, Pawtucket fell despite a two-homer game form Bryce Brentz. The veteran outfielder hit game-tying solo shots in both the fourth and eighth innings, giving him 24 round-trippers for the season. 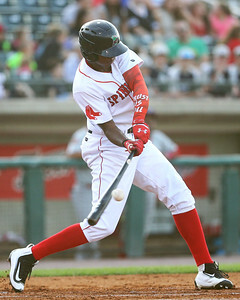 Rusney Castillo hit a three-run homer as part of a two-hit game that extended his hitting streak to 12 games. 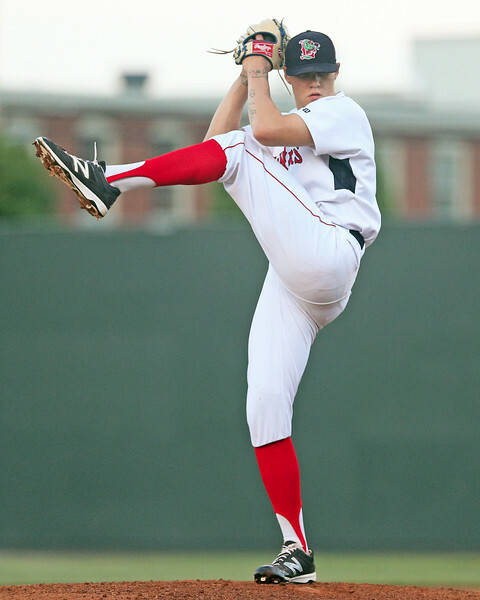 Starter Jalen Beeks allowed five runs on 10 hits in six innings, striking out six against a pair of walks. 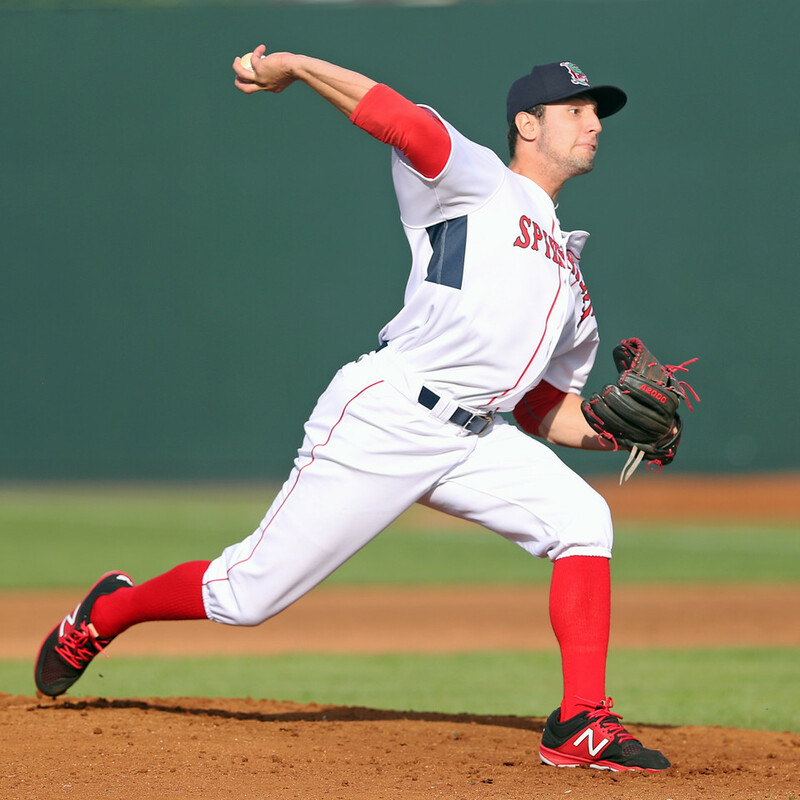 Joe Kelly made his first rehab appearance, needing only eight pitches to get through a perfect seventh inning. Noe Ramirez took the loss despite striking out four of nine batters he faced in two innings. 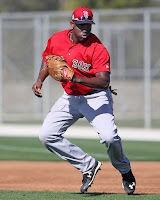 Occasionally, we feature videos here at SoxProspects News when they're uploaded to the SoxProspects YouTube page. Today's video is of 2017 Red Sox first-round pick Tanner Houck from the University of Missouri. The video includes several batters from each of the first two starts of his professional career for the Lowell Spinners. In the video, he features all three of his pitches: fastball, slider and changeup. 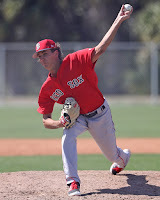 Look for a full report based on Houck's first three starts later this week on the SoxProspects News Page.